A Day Trip From Berlin ... To Braunschweig. A Day Trip From Berlin … To Braunschweig. 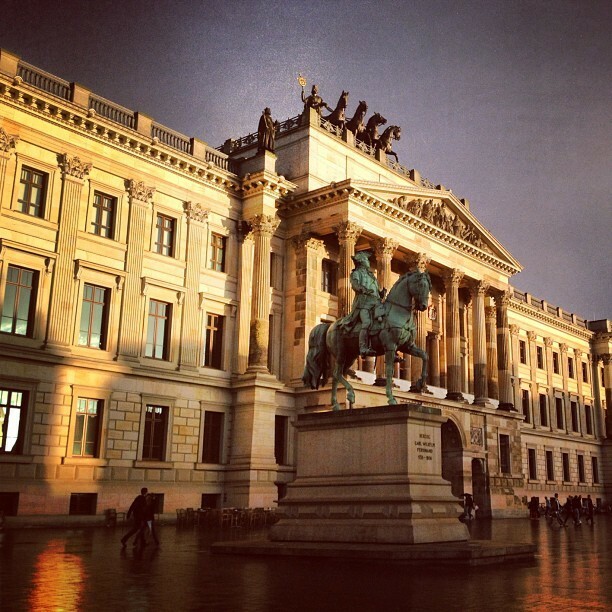 Have you ever heard of Braunschweig? Probably not. It’s not the most well known German city and isn’t a place that most people would go out of their way to visit. For me, the most compelling reason to visit Braunschweig was none other than the Happy Rizzi house. This house is actually an office complex that appears as if Sponge Bob Square Pants went on an all night drinking binge and puked all over the building. 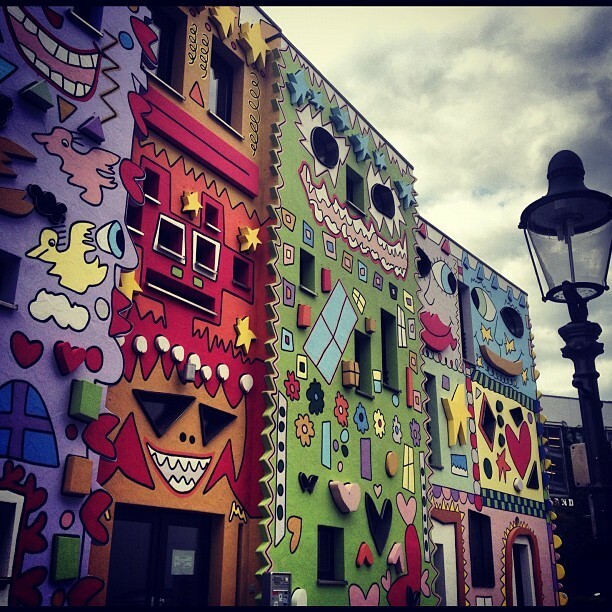 When I first saw pictures of the Happy Rizzi House on Kuriositas, I thought “No way! It doesn’t even look real.” I knew right then and there that I needed to see it for myself and add yet another site to my Weird and Offbeat list. So off I went to Braunschweig and discovered that there’s much more to the small city of 250,000 people than one would ever think. I also came across more oddities than I ever thought possible for such a small place! Check out this video to see just how I spent my day in Braunschweig, as shown through my favorite Instagram photos. Interested in checking out some of the places featured in the video? Here’s more detailed information about things to do in Braunschweig. 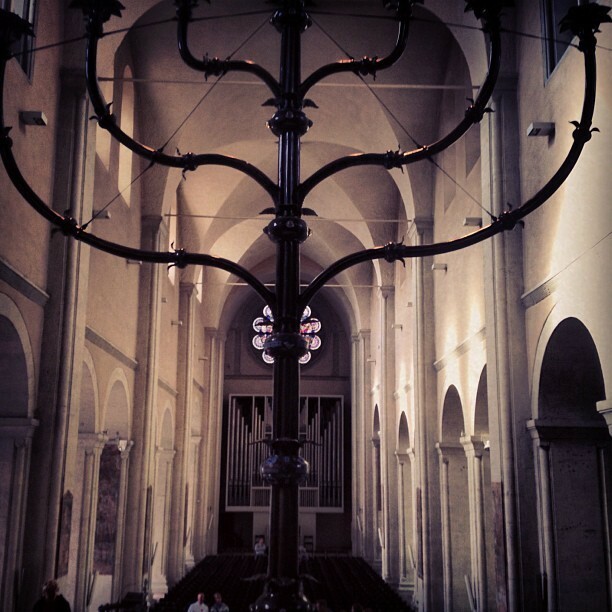 1) Der Braunschweiger Dom – AKA the Brunswick Cathedral. It’s surprisingly beautiful and reminded me somewhat of the Sagrada Familia in Barcelona from the inside. On the Saturday I visited, a few old ladies were selling fresh bread near the entrance. There’s a cool table with a mirrored glass surface so you can not only gaze lovingly at yourself but catch a different perspective of the cathedral. You’ll also find a bizarre alter dedicated to a chicken, some spooky crypts and a large seven armed candlestick dating back to around 1180 AD. 2) Das Braunschweiger Schloss – a former palace that’s now home to a shopping center and bears a slight resemblance to Berlin’s Brandenburger Tor. To be honest I never went inside, but walking around and viewing the carefully restored exterior was enough for me. I was even fortunate enough to see a double-rainbow over the Schloss Arkaden! Outside, I was also entertained by a group of top-hat wearing men singing to the crowds for money – and more oddly their cash was being collected by a man wearing a long white robe and night cap. 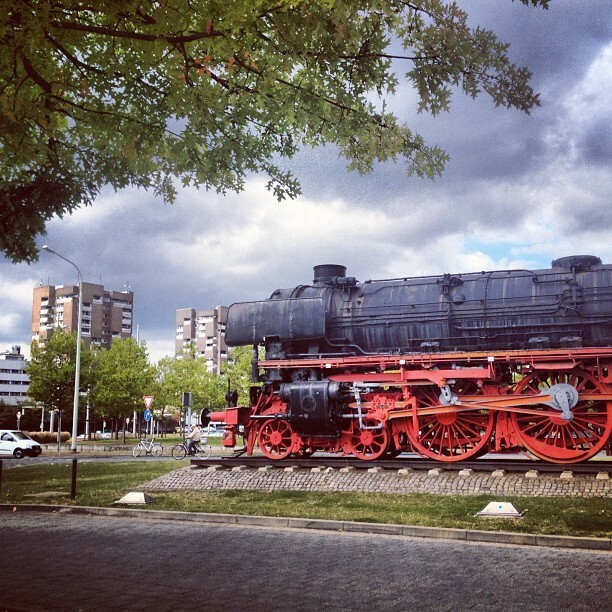 3) Steam Engine Train Monument – those of you who are transportation nerds can visit this monument located next to Braunschweig Hauptbahnhof. 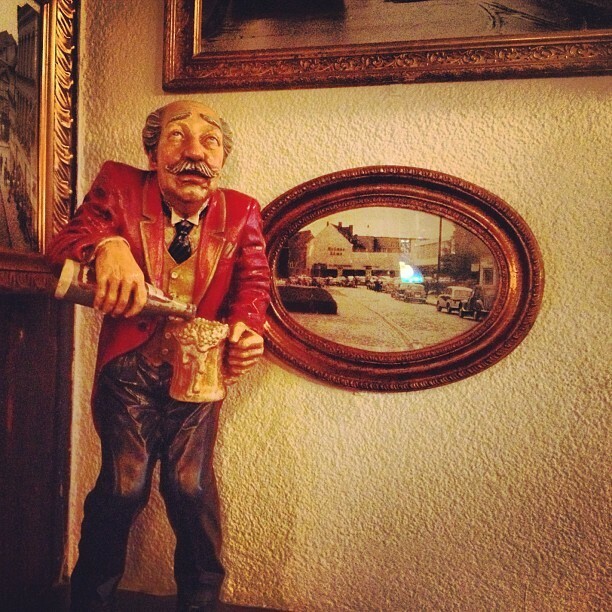 4) Mutter Habenicht – this cute German pub, furnished with rather eclectic and kitsch pieces is a great place to stop for beer and a bite to eat. With a menu in German, English and Italian you can order things like a Hoppel Poppel (home fried potatoes with ham and scrambled eggs) or a Feuertopf (a spicy soup with a lot of meat). On nice days, you can enjoy the small beer garden outside. Follow me on Instagram (@cdngrrleh) for updates on my travels and my ongoing adventures at home. You can also follow my Vimeo channel to see even more videos like this one. Great post, Cheryl. I like to go off the beaten track wherever I travel. And despite its resorts, it’s easier than you’d think to do so in my current base, the Canary Islands. @Matthew – Thanks! Braunschweig is definitely a quirky place. Awesome day…I love the shot of the locomotive. Wow – Happy Rizzi looks like something out of an Orlando theme park! Wild! Wow, love the Rizzi house – so funky! Restaurant Casa No Campo in Arouca, Portugal. La Prima Fashion Hotel in Budapest, Hungary.